Home > Latest > Off Topic > How to use WhatsApp without number verification? WhatsApp has become an important part of our lives. We can’t even imagine our lives without WhatsApp now. We use WhatsApp for many purposes and it serves us with perfection. We use this app for sending messages, sharing media files, audio, and video calling without any cost. I’ve been using WhatsApp since very long and I don’t remember the time when it was not installed in my phone. Whenever we buy the new phone or resets our phone, the first thing that we do after setting up our phone is download WhatsApp. We can’t imagine our lives without it. WhatsApp requires a working and unregistered phone number to set up an account. But what if you don’t have the phone number? Or what if there arises some other situation..?? Don’t worry, here I will tell you how to use WhatsApp if you don’t have a phone number. There are two ways to do that and they are tested, of course. These methods work with every electronic platform whether it’s Windows, or Android Phones, or an iPhone. You can also look for GBWhatsApp if you want to have more features on your WhatsApp such as custom themes and many other amazing features. 1. How to set up your WhatsApp account without Number/Sim Card. Before starting up with this method you need to do some set up. If you are using WhatsApp on your Android/Windows Phone or an iPhone, you need to install an app named “TextNow” You can download this app from Play Store on your device. This application provides you with a unique 10 digit number which you can use to run your WhatsApp. 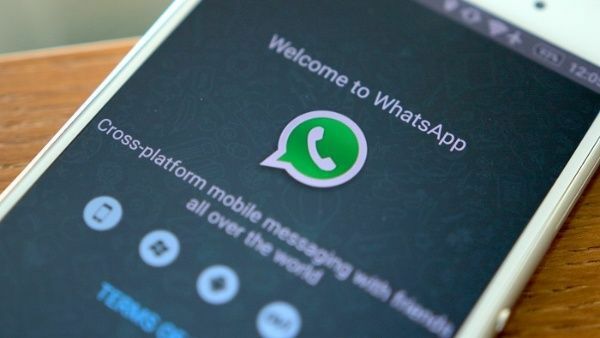 If you have already installed WhatsApp on your phone, you need to uninstall it. If you want to use WhatsApp on your PC, you can download the WhatsApp app from the Internet or you can install it from Bluestacks (Bluestacks is a software that enables Android apps to run on PC). You need to download TextNow app on your phone (you will know the answer for ‘Why” soon.). Step-1: Setup TextNow app so that it can generate unique 10 digit number for you. Save the number or write it down as it can be used in future too. Step-2: Open your WhatsApp account and after agreeing to ‘Terms and Condition’ enter the provided number with the country code and click on Verify. Step-3: With for 5 minutes till the ‘Verification via SMS’ fails. After that, click on ‘Verify with Phone Number’. You will receive an automated call to your number that you registered on WhatsApp. Step-4: Open the TextNow app and note the OTP that you receive from that automated call. Fill it in the ‘Verify OTP’ box provided and click on Verify. Now your WhatsApp account is good to go. What to do when you lose the number provided to you through TextNow App?? Keeping this number safe should be your utmost priority. But if you accidentally lose the number then do the below-mentioned steps to recover your phone number. Open the TextNow app on your iPhone, iPod, or iPad. Click on the three dots on the top-left corner and you can find your number there. Read also Do you really need a Screen Protector for your smartphones? 2. How to set up your WhatsApp account using your Landline. Another way to use WhatsApp is registering it with your Landline number. If you don’t feel like not going through the trouble of downloading another app such as TextNow you can use your Landline number to register in WhatsApp. Step-1: Download WhatsApp on your Android device and after installation is completed open the app and agree to all ‘Terms and Conditions’. Step-2: Enter your landline number with your country code and click on Verify. Step-3: You will receive OTP from WhatsApp through message wait for 5 minutes before the confirmation fails. After that, click on ‘Verify via Call’. Step-4: You will receive an automated call from WhatsApp for the OTP. Enter the provided OTP in the Verification box and click on Verify. Step-5: Your WhatsApp account is now ready to go. Enjoy chatting with your friends, family, and relatives.